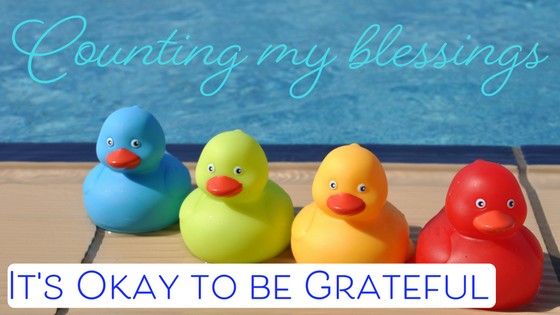 Being grateful. It can feel very hard to be grateful when we are experiencing unwanted change, loss or undergoing a major life transition. 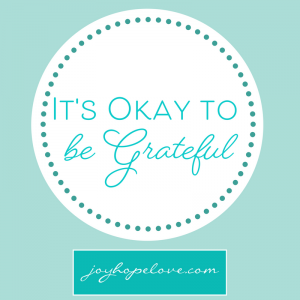 Feeling thankful can be almost impossible when we feel overwhelmed, stressed and grief-stricken. The very idea of gratitude at this time can be abhorrent and feel completely inappropriate. Yet expressing gratitude for what we have, and acknowledging the gifts in our life, is the best way I know to lift our mood and improve how we feel. Whilst it may seem odd to say, but I am grateful for my stillborn son. I don’t mean that I am grateful that he died. Not at all, not ever. There isn’t a day I don’t wish that he had lived. Rather, I am appreciative of the blessings I have as a result of the loss of my baby. There are many blessings, or gifts, that I would be without, had my son lived. Chiefly among them is my youngest son. My beautiful, lovely, funny, sociable little boy most likely would not be here had my second boy lived. And there is no way I would want to be without my youngest son in my life. I am incredibly appreciative for the amazing life-changing, life-long friendship’s formed with other bereaved mothers as we supported each other, as well as ourselves, through the darkest of experiences. Also, I am very thankful for the wonderful, kind and generous people in the world who volunteer and give of their gifts and services to help distraught parents remember their stillborn baby in a beautiful and fitting way. Without these kind souls, I would have no photographs of my second son. And I am supremely grateful that the experience meant I uncovered, (or perhaps rediscovered), the inner strength that I had either not known I had, or had forgotten. And finally, I am grateful for the joy. After the depths of sadness and grief, there came a day when I realised there was so much to look forward to in my life. I had felt joy again, and I would do so time and time again. I had hope for the future. if we just pause and take the time to acknowledge them. Even in our times of struggle, there are people or moments that can bring hope and joy. And for those precious people and moments, it's Okay to be grateful. Please feel free to share this post with someone who you know could benefit from reading it. Undergoing a transition, and wishing you were able to experience more joy and gratitude in your life, but feeling a little stuck as to how to do it? I love to help people move through transitions and loss - and I'd love to help you! Book your complimentary consult and we can have a chat about working together.